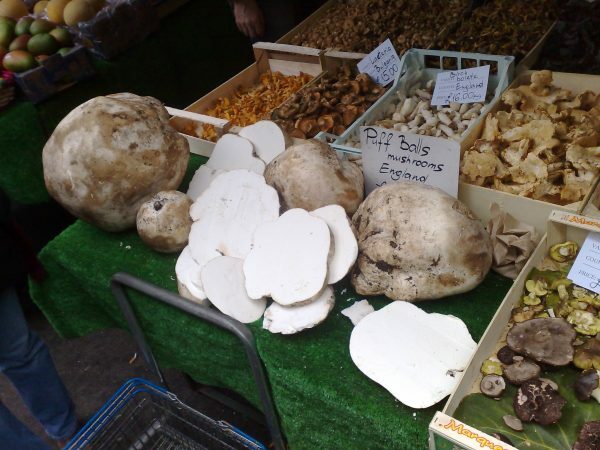 Not all mushrooms are consumed for food and culinary enjoyment. Medicinal mushrooms are gaining popularity stateside after hundreds of years of cultivation by foreign cultures to cure ailments, boost immune systems and reduce blood sugar, blood pressure and cholesterol. Several species, like turkey tails and chagas, are a common sight in snow-laden Illinois woods, and they are virtually dehydrated right off the tree. As we described previously, methods of dehydrating are simple and allow mushrooms to last indefinitely. Dried mushroom pieces can be pulverized in a coffee grinder and used to make a medicinal tea, though the same product can be produced by simply brewing chunks of dried mushrooms. Mushroom tea is an earthy beverage, certainly worth trying, but not for the faint of heart. Powder can even be added to coffee or water and diluted appropriately to your taste preferences. Pill-form is an option, too. Here are five of the more popular medicinal mushrooms. 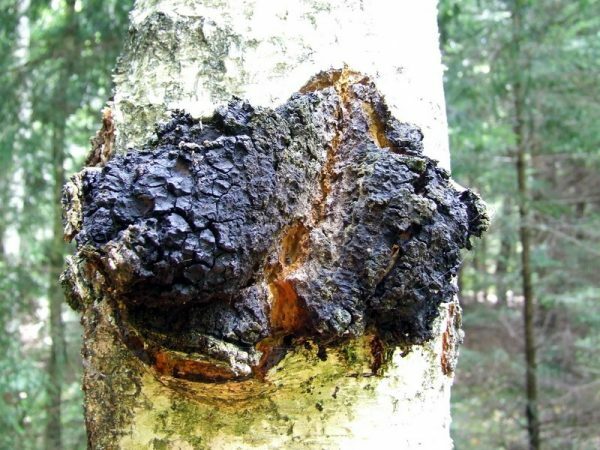 Also known as the clinker polypore, the chaga looks like a giant lump of charcoal growing on the side of a birch tree. Though ugly it may be, it can be broken off a tree, boiled and drank in a tea. The powdery fruiting body possesses anti-inflammatory properties and are currently undergoing serious research on its capability to reduce arthritis pain. Turkey tail are among the most plentiful in the North American landscape, setting up shop on the trunk of a dead or dying tree and eventually covering the whole thing. They are known for alternating colored sections of lines that give their leathery caps the appearance of a turkey’s tail. They grow almost all year round and are one of few species to maintain their appearance through the winter. 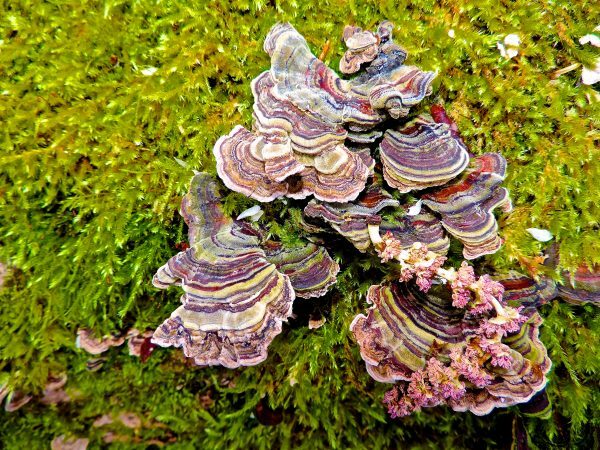 Benefits of the turkey tail include immune-enhancing, antitumor, antiviral, antibacterial and antioxidant properties. They can be purchased online and due to their availability in the wild, prices are fair. For a closer look at the FDA’s ruling on turkey tails, click here. 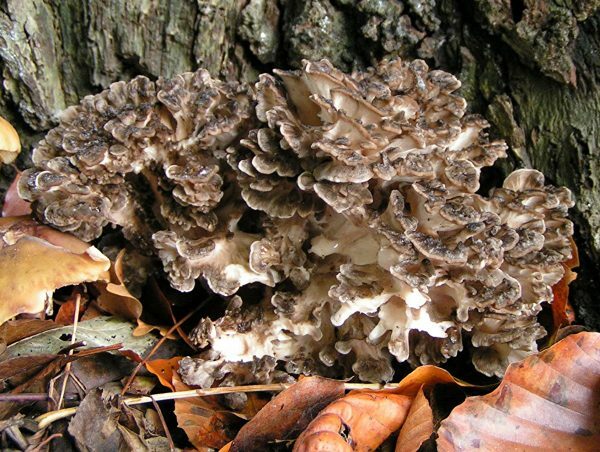 Also known as hen of the woods or sheepshead, the maitake is a choice wild edible first and foremost. Found on the bases of oak trees in early fall, pickers would be hunting these regardless of their medicinal value. Sauteed in a pan with butter, salt and pepper allows for the true flavor of the maitake to come out unaffected by other, lesser foods. Fruiting bodies boast antitumor properties, particularly in relation to colorectal and breast cancers. They are also known to lower glucose levels and enhance immune response. 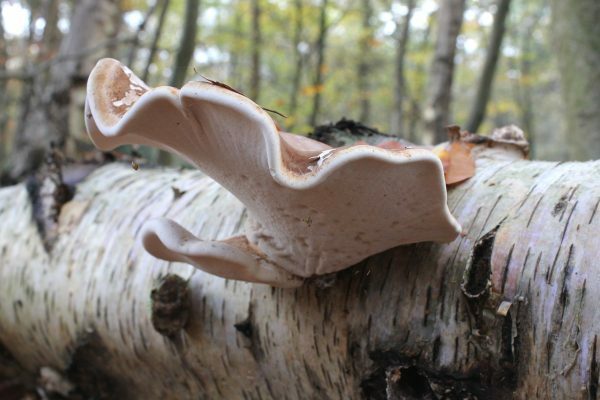 The birch polypore has been used for centuries or more in many parts of the world. While antitumor and cholesterol-lowering properties may be more difficult to prove, certain medical uses are obvious immediately. One of its proven uses is its ability to stanch the flow of blood. It also has antibacterial and antiviral properties, and is not eaten, but rather used as a bandage or extract. It’s no surprise that Otzi the Iceman, a well-preserved 5300 year-old mummy, was found carrying a birch polypore. 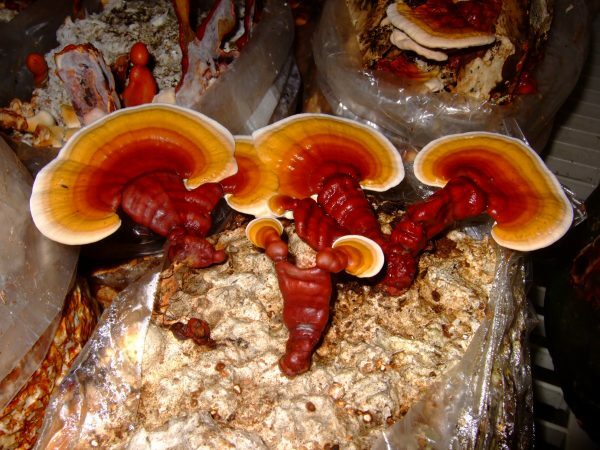 Like many other medicinal mushrooms, the Chinese and Japanese have been treating the reishi with reverence for generations. And also like many other medicinal mushrooms, it took us a little bit longer to catch on. The large, shiny orange red-capped mushroom grows on hardwoods throughout most of the growing season in North America. Like other medicinal wild mushrooms, it has antitumor and immune-enhancing benefits, along with choloesterol-reducing properties.